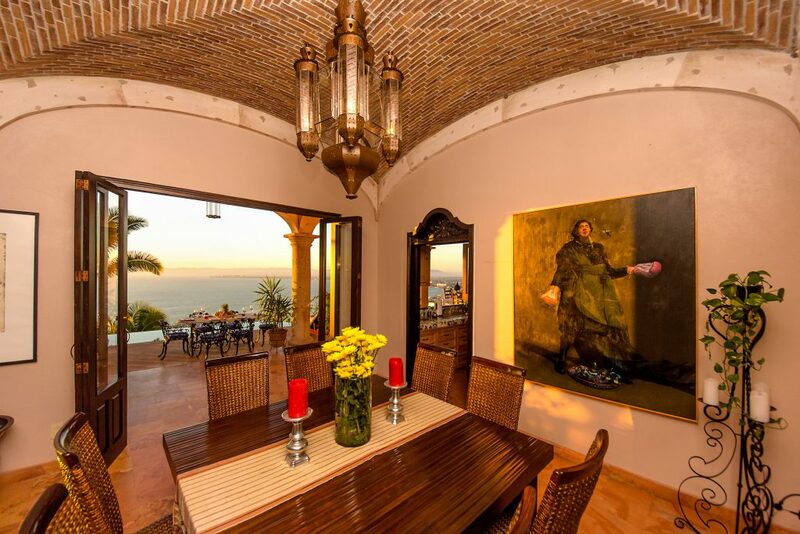 The house is full of treasures and leaded glass windows which provides a prismatic view of Puerta Vallarta. The house is palatial and comfortable. The staff, of 3 are super friendly, and competent. Rosa, the chef is phenomenal. Ari, the operations manager is responsive and very efficient – thanks we had a fabulous 10 Days – I want to come back! First impression of the house was amazing! 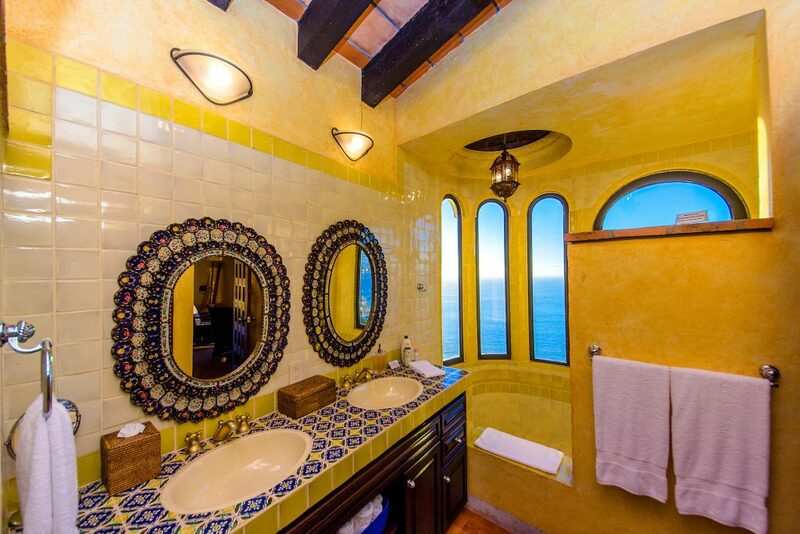 The views, the rooms, the décor, everything was straight off a postcard and looked exactly like the photos online. The staff and the house were so warm and inviting. The house manager, Riggio catered to our every desire, no matter how small and made us feel like kings and queens for our time at this fabulous house. The chef, Miquel was absolutely wonderful! Every meal was delicious, and served with character and warmth. The BEST meal was the surf and turf on Saturday night—the Lobster was perfect! The house keeper, Rosa was detailed, clean and timely. Not having to cook and clean on vacation is every woman’s dream! The stay was just great! If I had to point out any negative, it would be the temperature in the shower was difficult to control. We scalded ourselves a couple times! And having a TV in the bedroom would have been a nice touch. Other than those two things, the stay was a dream and I cannot wait to go back! Puerto Vallarta Villas made our 10th Anniversary trip to Puerto Vallarta special from beginning to end. With taxi service arranged for us, we quickly traversed the gauntlet of transportation offers at the airport to a very nice man holding a card with my name…and a cold beer. 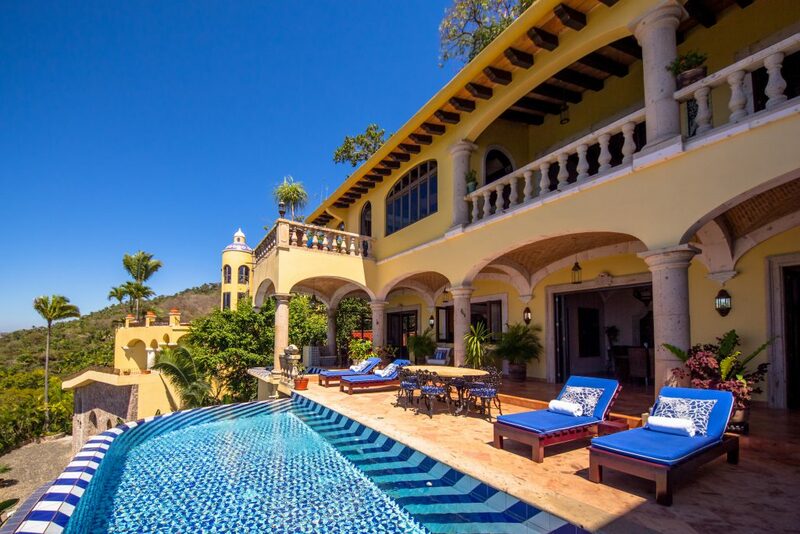 We took the scenic route through town, that came with all sorts of useful tourist tips, and arrived at the beautiful Villa Hacienda de Los Santos, where we were greeted with fresh margaritas and delicious homemade guacamole. The rest of our week was equally fabulous. 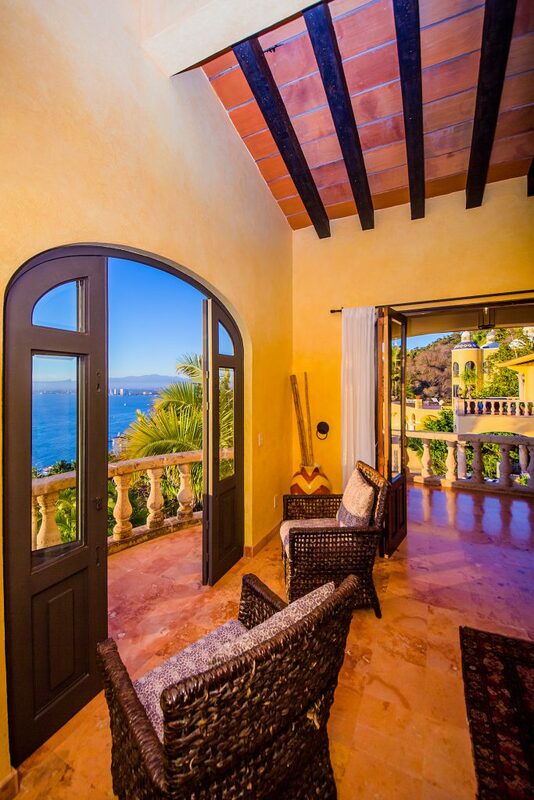 To begin with, the Villa is beautiful. It is both elegant and comfortably casual. And the view of the bay and the town below picturesque. We spent a few days just lounging around the house, being served margaritas and other cocktails of our choice along with freshly prepared homemade meals by the wonderful staff, Rigo and Rosa. Their personal service rivals that of a five-star hotel. (The complementary Wi-Fi made it easy enough to check in when necessary, although you will want to limit connection with the “real world” to a minimum.) 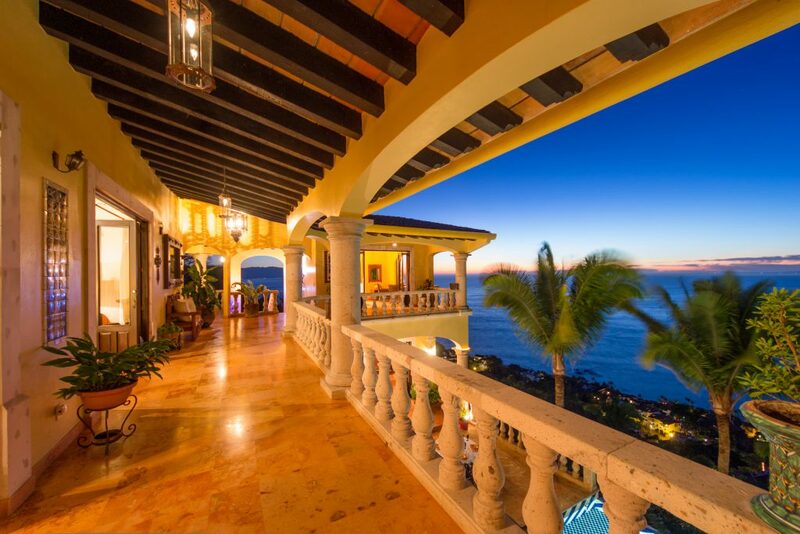 Other days, we took a taxi to town ($6 -$9 US), wandered in and out of shops and restaurants along the shore — and the beautiful boardwalk — The Malecón — and spent our evenings watching the sunset from the Villa’s infinity pool. This trip was to celebrate our anniversary, so naturally we wanted to be alone. However, we will certainly return with friends and family to allow them to experience this beautiful place. 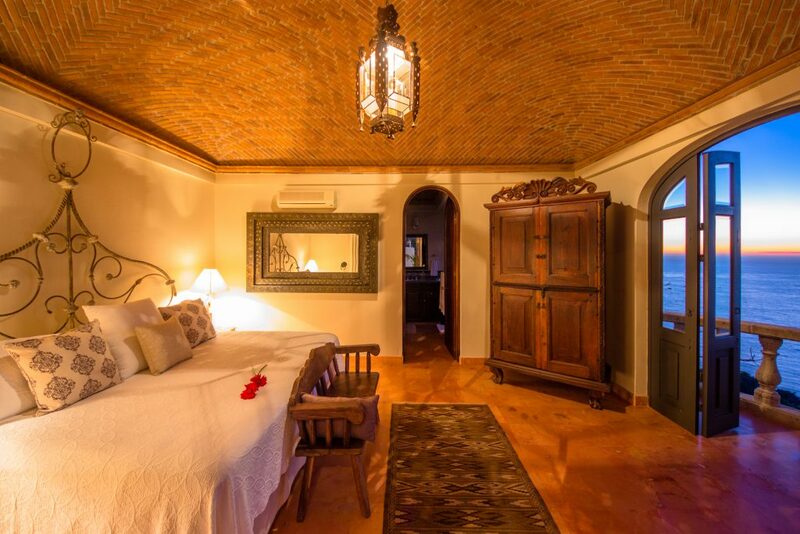 The Villa easily sleeps 10, so we will not be alone next time! 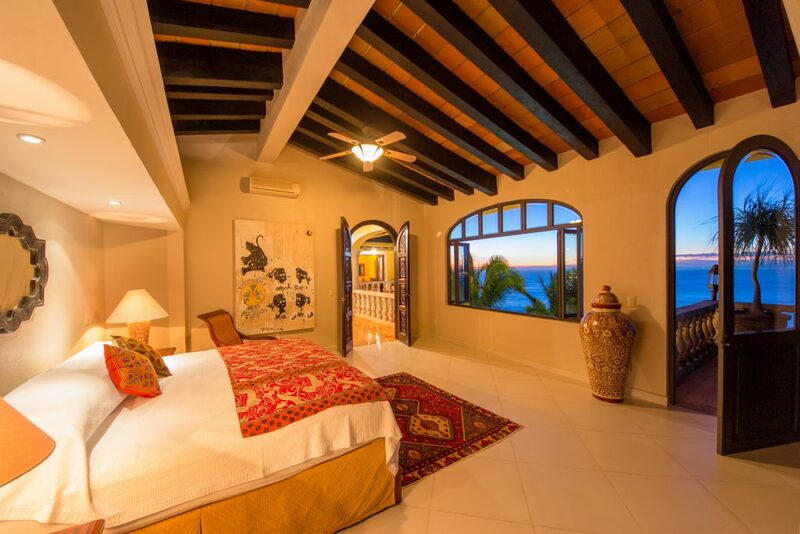 If you are looking for a relaxing getaway in one of the most beautiful settings you will ever see, look no further. 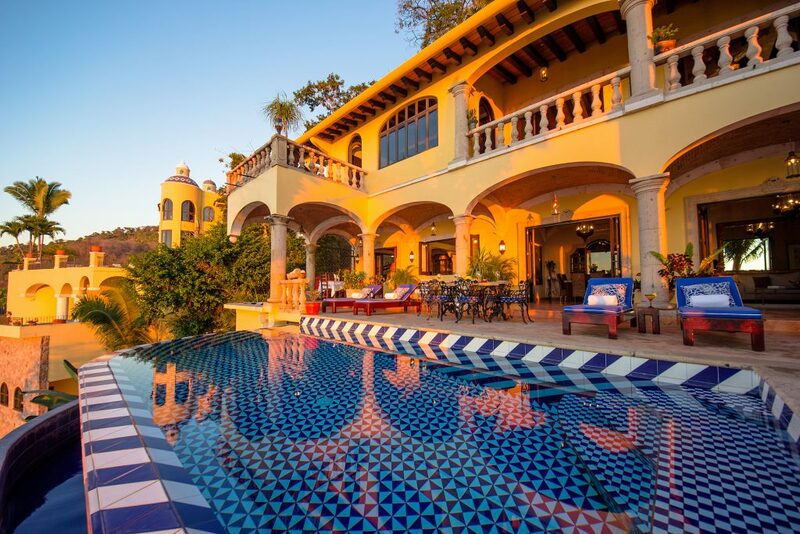 Hacienda de los Santos will live up to your every expectation and surpass what you thought a great vacation could be. As stunning as the photos looked on the website, the house was even more pristine and the views even more breathtaking than any of us ever could have imagined. I was there with a group of 9 celebrating a birthday and this turned out to be the perfect location. From the moment we arrived, we were treated like royalty, something none of us were used to in our normal lives. 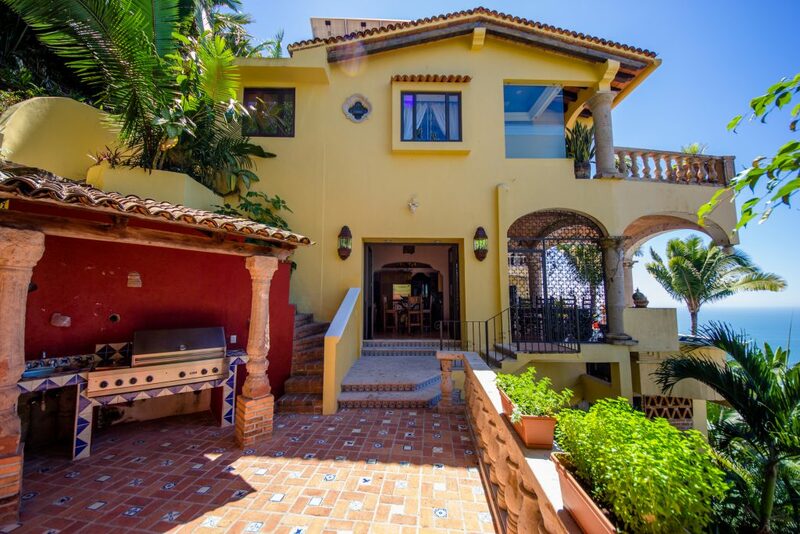 The property was immaculate and we all loved the feeling of being together in a large luxury villa, but still being able to have our privacy when we wanted it because there was so much space. Rigo, the houseman, made sure that whatever we needed was available for us. Whether it was coordinating airport transfers, planning meals, suggesting excursions, making drinks for us by the pool, or tidying up during the day, we never wanted for anything. And our cooks, Rosa and Maria , made the most delicious meals for us everyday we were there. Everyone is still talking about the shrimp empanadas they made for lunch one day. They were so good, we had them make more for dinner later in the week! Using fresh ingredients they picked up each day, we awoke to the aroma of coffee and food cooking in the kitchen and we ate breakfast by the pool with stunning city views to start our days. It was easy to get used to eggs cooked to order, mounds of assorted fresh fruit, yogurt, granola, toast, and fresh squeezed orange juice every morning. 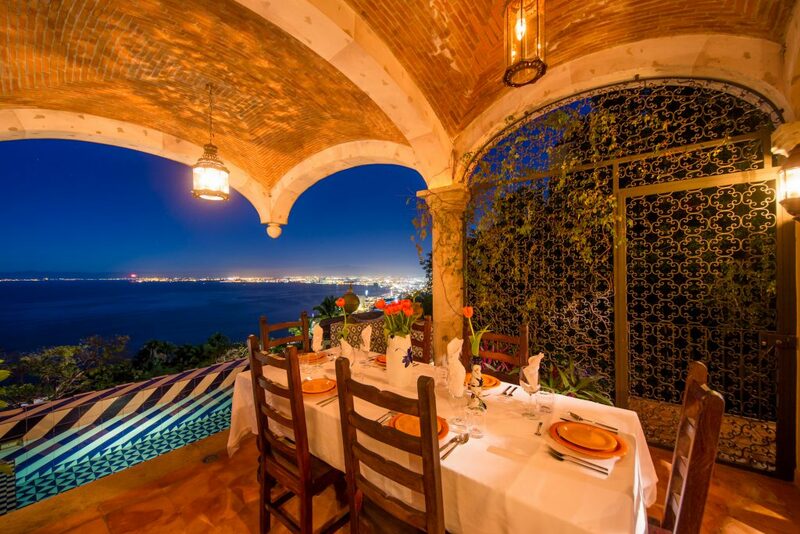 We also had many really great dinners in the open-air dining room at the end of our days. There were several days that we didn’t even leave the villa because between lounging by the pool and enjoying the sun while we sunbathed, read or listened to the built-in sound system, there was nothing more we could ask for. On the one or two days that we did venture down to the beach, it was a very easy cab ride down and back. 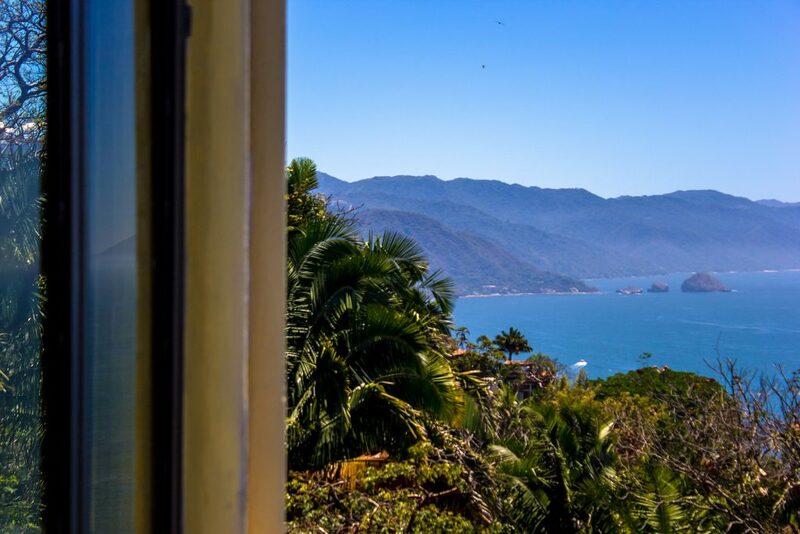 But trust me, once you arrive at Hacienda de los Santos, you will never want to leave. 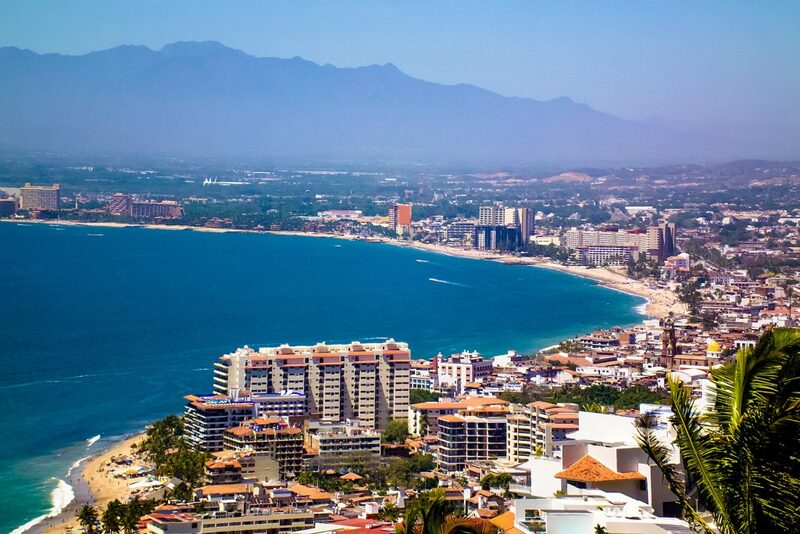 If you are planning a trip to Puerto Vallarta and want to have the vacation of a lifetime, this is your place. The days went by too fast for us while we were there. We all wish we could have stayed longer, but we will definitely be back! Hacienda de Los Santos was the perfect venue for my partner and I to have our April 2015 Wedding. 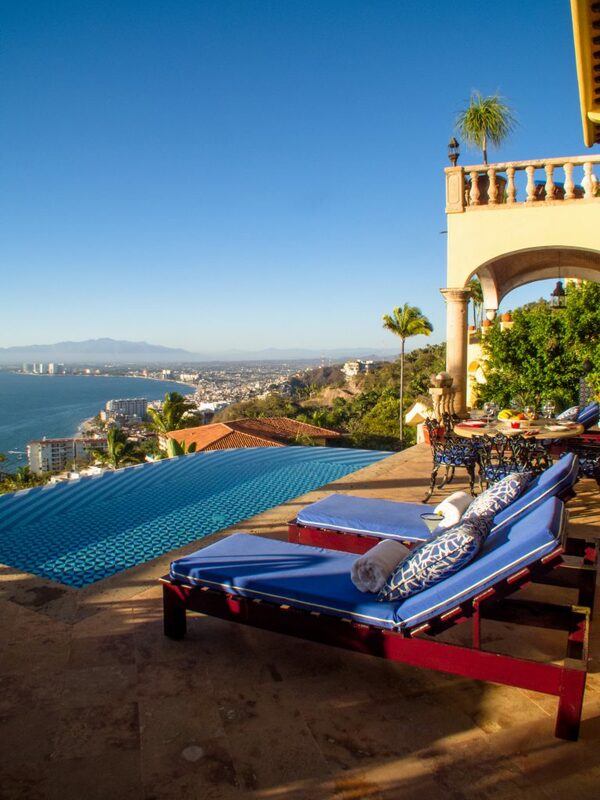 We wanted a villa where we could host all of the wedding events over a three day period so that we could spend the time with family and friends who travelled to Puerto Vallarta for our special day. The “I Do Crew” of eight stayed in the villa for four days and everyone could not be more impressed by the excellent care and service that was provide to make our time and wedding an event that was spectacular. Rigo the house manager was outstanding and he was constantly making sure that everyone was taken care of including the day of the wedding that all the suppliers were able to load into the villa for an efficient set up. Other house staff Rosa and Veronica organized the kitchen, prepared amazing breakfasts and kept everything clean and tidy for this spacious villa. 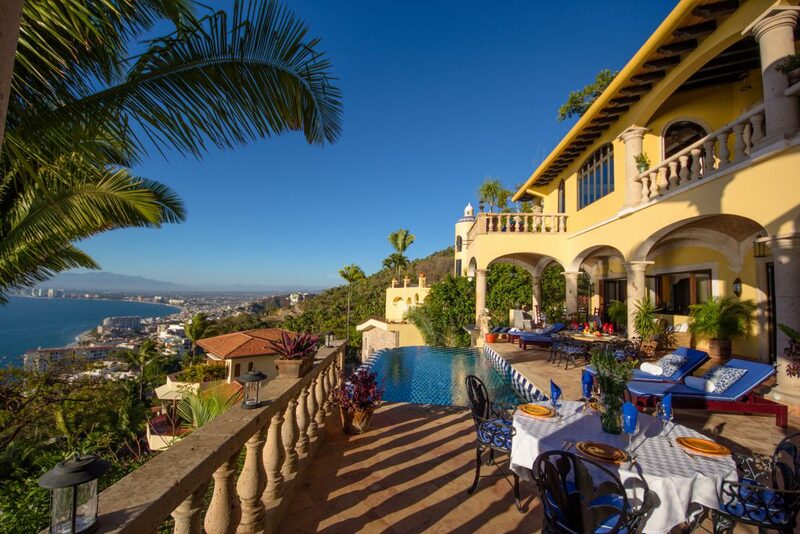 The deign and decor of the villa is beautiful and classic with a panoramic view of the entire city of Puerto Vallarta and Bay of Banderas. For our wedding we wanted to be able to have a sit down dinner for 70 guests and to transform the beautiful space into a glamours candle lit, orchids and shimmering gold wedding event. A rose petal covered stage was installed in the middle of the pool for us to stand on and say our vows and to make it picture perfect with the open view of the sky, ocean and city. 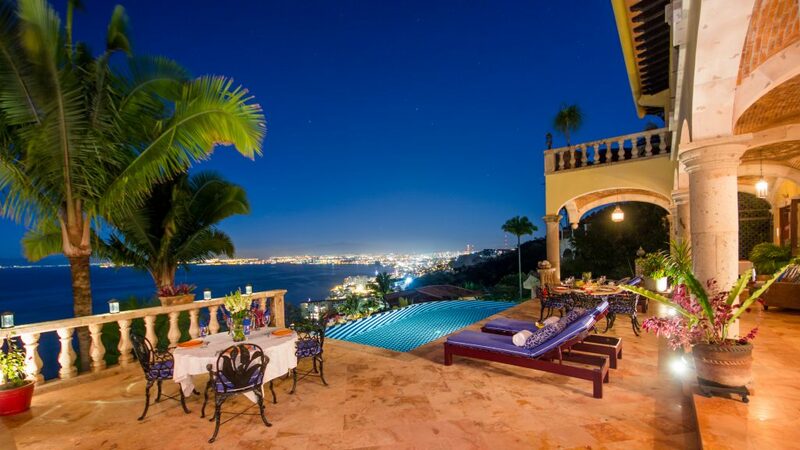 Live entertainment and fireworks completed a memorable moment in a gorgeous villa with us and our family and friends. 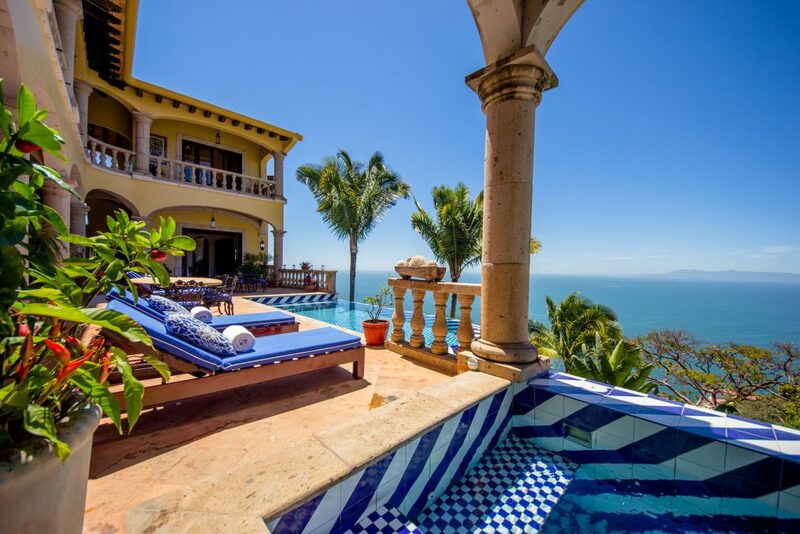 Whether you are looking for an intimate villa for a family vacation or for a unique wedding venue, then Hacienda de Los Santos is a shining star in Puerto Vallarta. 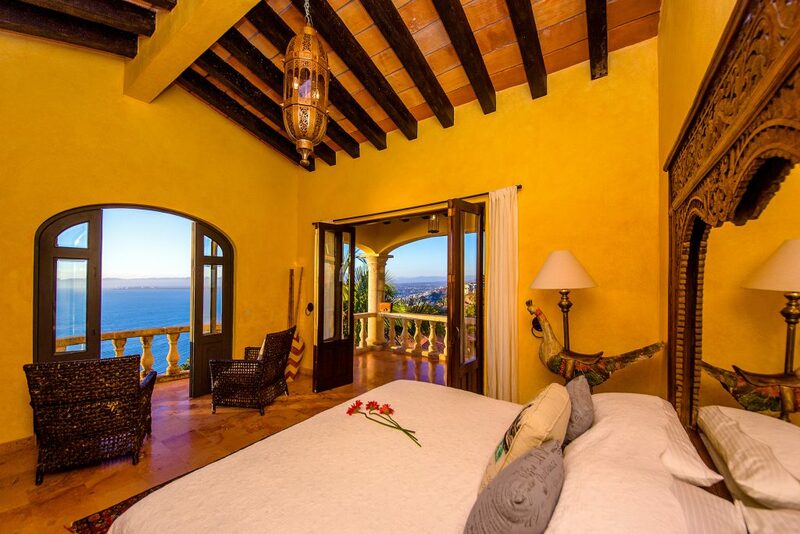 The owners and the management of Hacienda de Los Santos will provide you with excellent service and care. 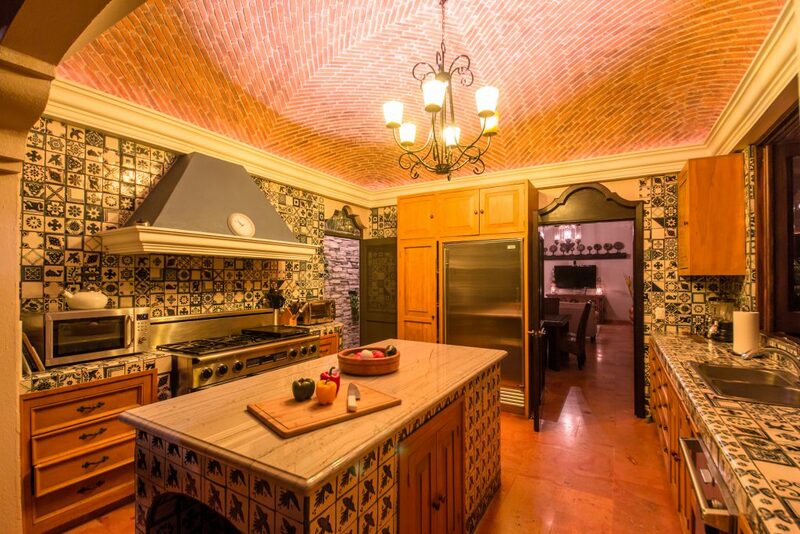 Nous avons eu l’incroyable chance de profiter de cette magnifique villa pour une semaine. Dès que nous sommes entrés dans la villa la magie a opérée. 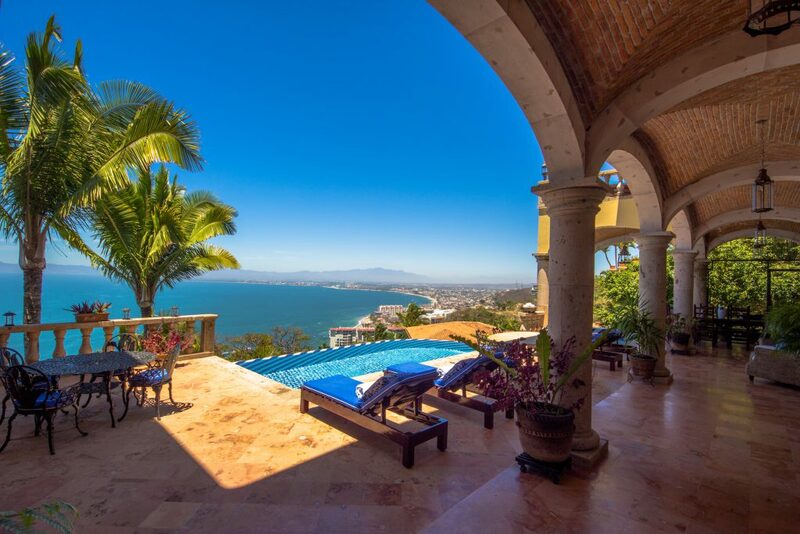 L’imprenable vue sur la baie de Puerto Vallarta, la piscine, la villa, tout était parfait. L’accueil et le service sont irréprochables. Les gérants sont chaleureux et diponible. Le personnel sur place est serviable et efficace. Nous avons profité de l’opportunité de faire préparer nos repas sur place, c’était parfait et que dire des margaritas. Toutes les installations sont luxueuses et confortables. Finalement nous étions tellement bien que nous sommes très peu sortis et avons profité au maximum de la villa. Presque tous les soirs nous avons pris nos repas sur la terrasse et avons profité des couchers de soleil sur le Pacifique. 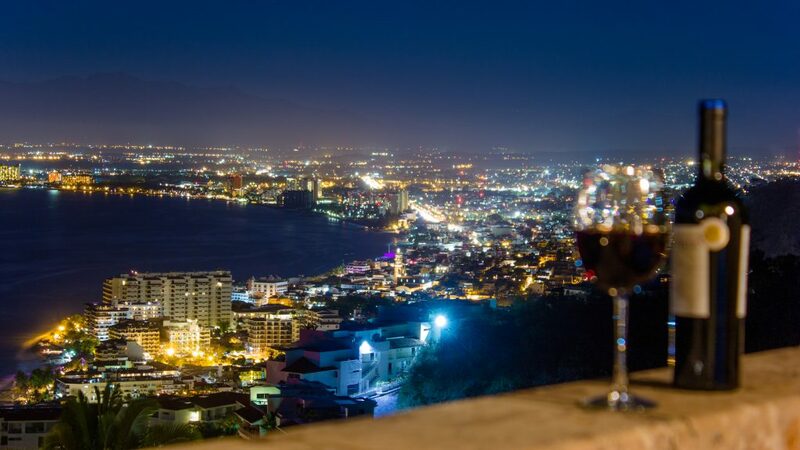 La situation de la villa près de la ville de Puerto Vallarta permet de s’y rendre facilement et à peu de frais grâce au service de taxi efficace. I spent a week at Hacienda de Los Santoswith a group of friends.The house is huge,and has the hard-to-find quality of allowing a large number of people to relay and enjoy a single residence with out feeling on top of each other.the bedrooms are big,so when you want to get away from the crowd, you don’t have to sacrifice a sense of luxury by bring cooped up in a small hotel room (with thin walls).You can take your book (there’s a library on the premises) or a magazine (plenty of those too)and just escape or, you can join the others by the pool and hot tub (conveniently separated) and enjoy the jaw-dropping views of PV and the Bay of Banderas.You know those TV Reality shows like “Million Dollar listing,” wher the oily realtor talks about “stunning views” ( over looking Los Angeles)? Baby those L.A. Views are not stunning. 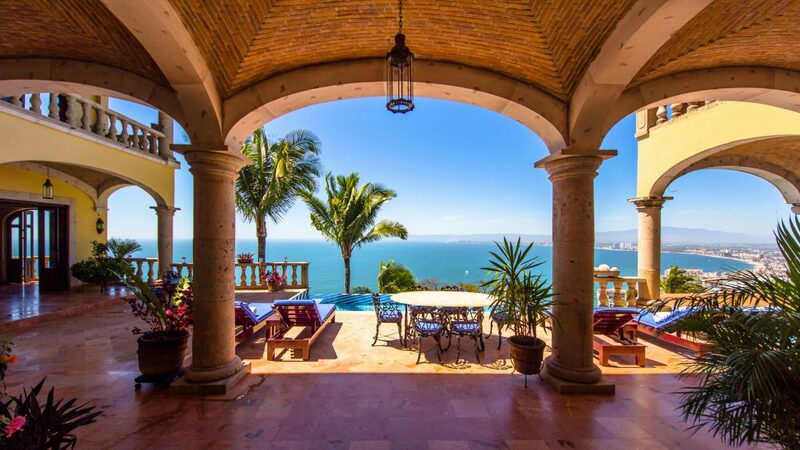 If they are,then Hacienda de Los santos requires a new vocabulary .for people who want to be ” on the beach” be careful what you ask for.Thump-Thump-Thump hip-hop music and the endless construction that is going on in PV (they’re supposed to wait until 8am to start their Jackhammers;Ha!) this house is a much better bet-five minutes and70pesos ($4.50) by taxi (the taxi drivers all know the house) to restaurants like La Palapa andAnrjo Limon the best beaches,the clubs and bars on Olas Alta’s.But, in reality,you’ll start thanking (as I did); why leave the house? Rosa is a great cook (chiles relents!!) Rigo serves your ice drinks pool-side,pretty music at adjustable volume plays gently in the back grounds, there’s a movie after lunch (thousands to choose from) and gentle breezes bethe you.And no one is trying to sell you crappy trinkets on the beach; we’re going back. 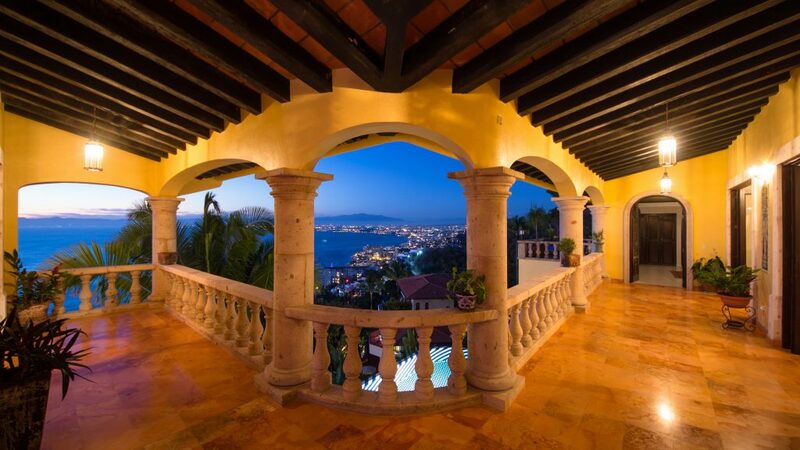 The ancient crater of Banderas Bay is crowned by Hacienda de Los Santos. 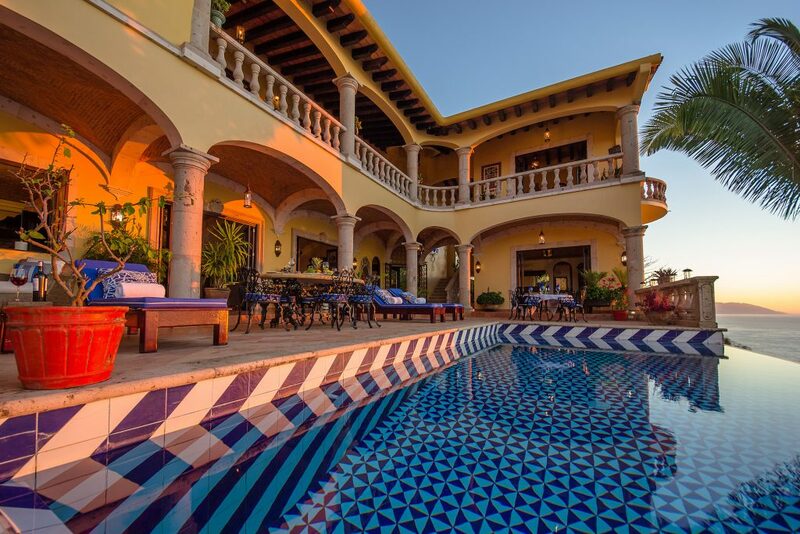 I was totally able to relax within minutes after arriving to this spectacular Hacienda. 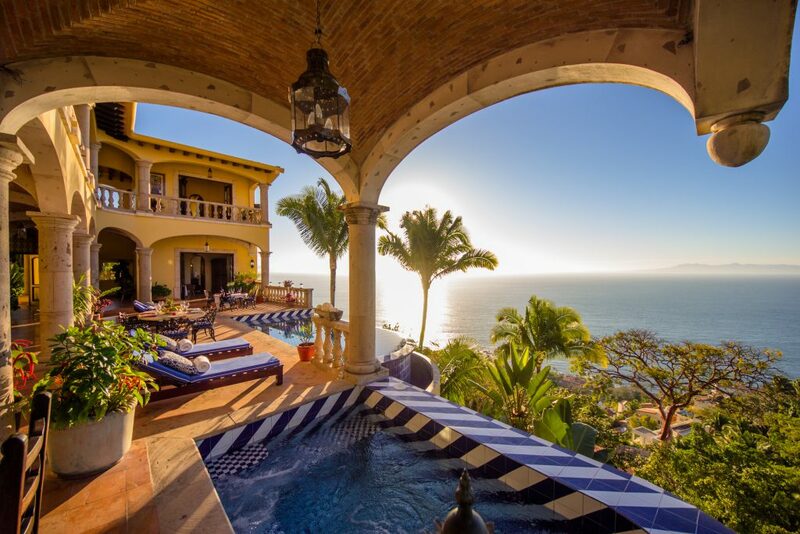 Time stands still and the soft breezes swiftly guide you away to the true soul of Mexico and the spirit of Siesta. 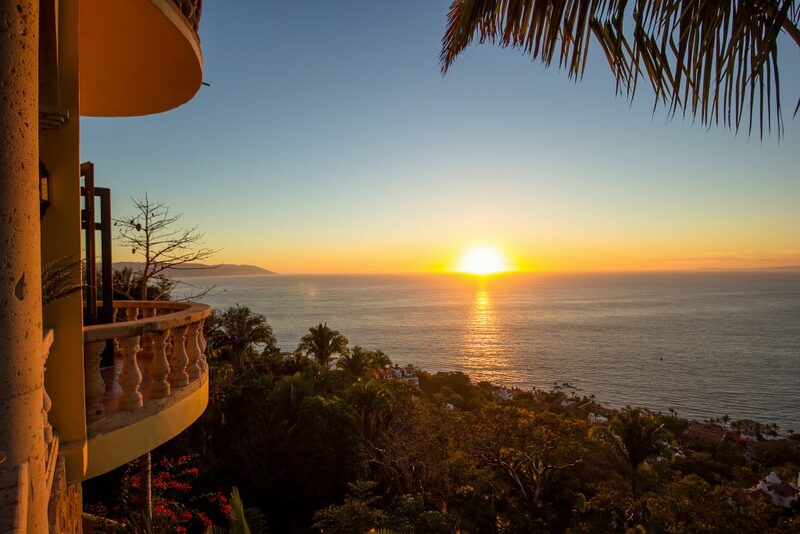 Excellence, charm, and hospitality of the staff are the jewels upon this crown of Puerto Vallarta. This place was incredible. You walk in and look right over the entire town below. 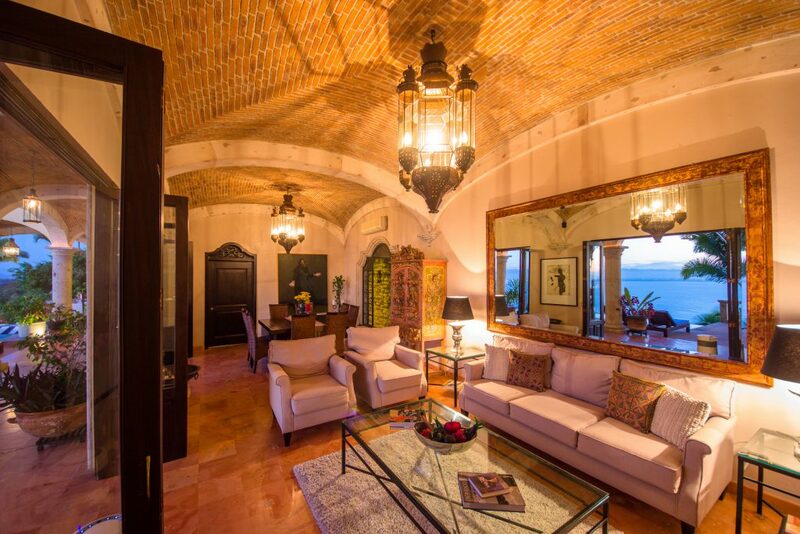 The architecture, complete with beautiful Moorish style arches, made me feel as if I was in a virtual Alhombra on the beach. Couple that with the trim line pool, hot tub, open air setting, the fact you are on top of the whole town and even whale watching off the balcony and you can’t beat this place. The staff was wonderful and I wanted for nothing. True paradise found. 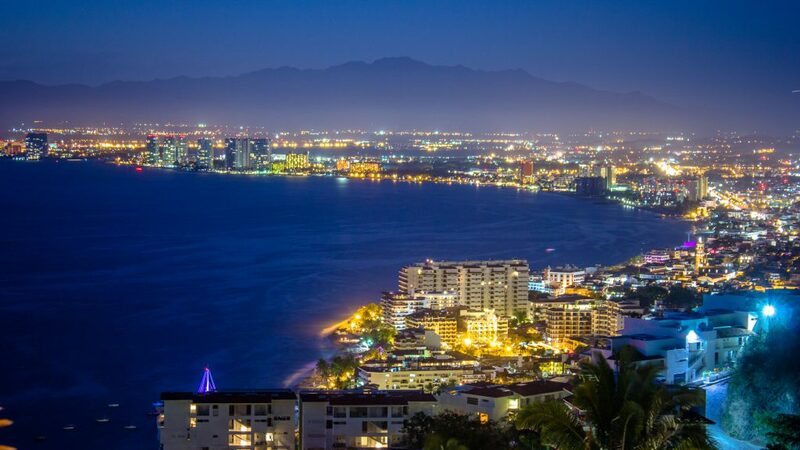 Best view of Puerto Vallarta imaginable both day and night! 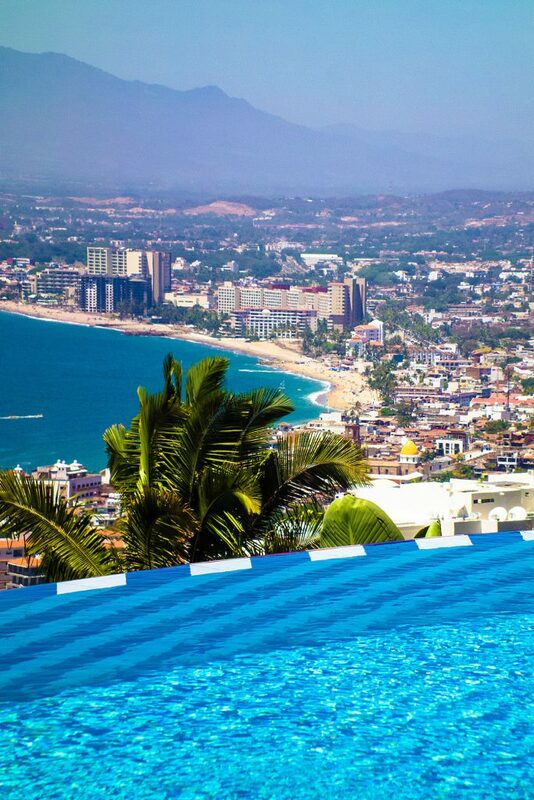 Best place to be in Puerto Vallarta as well. Best food I had too. Staff was wonderful and accommodating. Loved the pool. I can’t wait to plan another trip, and can’t imagine staying anywhere else. The taxi drivers all seem to know exactly where to find Hacienda de los Santos. I felt like a celebrity. I’ve now had two trips to this property and the moment that you stop shy of the front door and walk in, you feel the warmth, love, beauty and relaxation of this great home. This house was built for a restful and beautiful get away that causes you to forget the email, phone and problems you left behind. 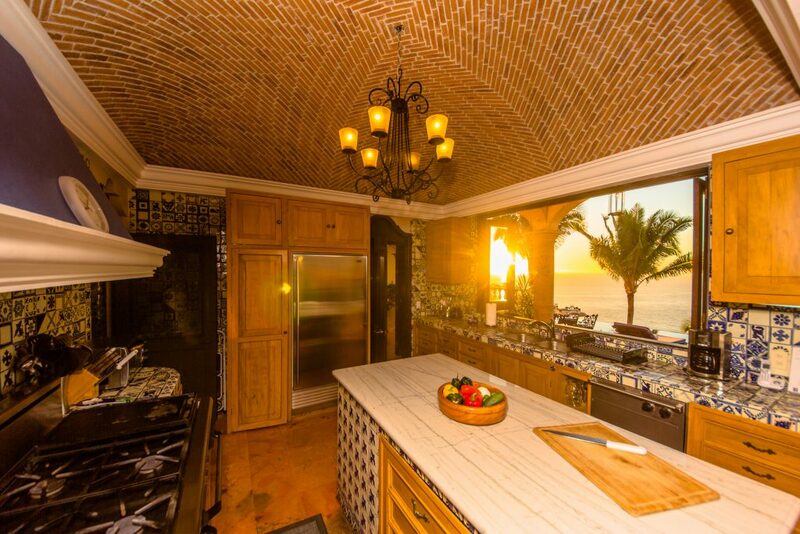 The staff overwhelms you with gracious care and consideration and truly are a bonus for this property. Many days you never want to leave the poolside for the loud and noisy party beach area. It’s after you reach the end of your visit and you drive to the bottom of the hill, do you realize that you have just left heaven and are now back in hell. WARNING: This magnificent house will induce indolence. 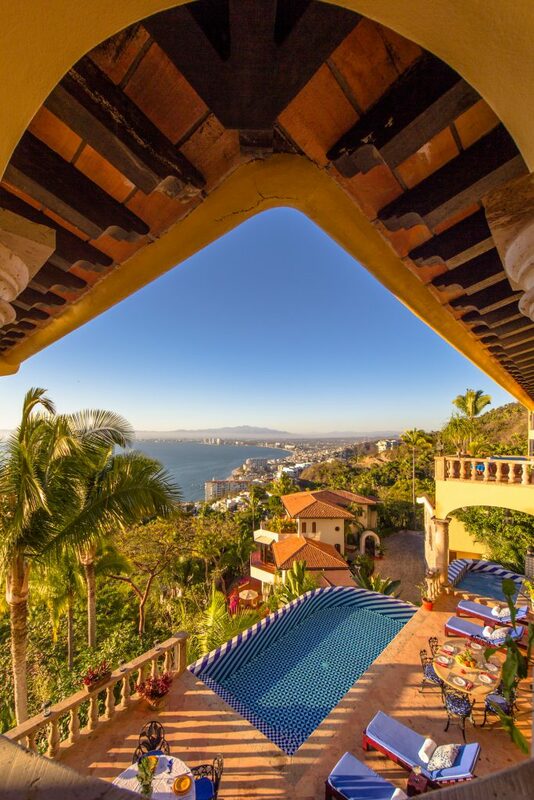 With stunning views of Puerto Vallarta below it’s easy to lounge by the pool all day and never leave this magical place. With the included housekeeping and optional meal service, experience life like the 1% and savor the leisure. The staff are friendly, attentive, and accommodating. 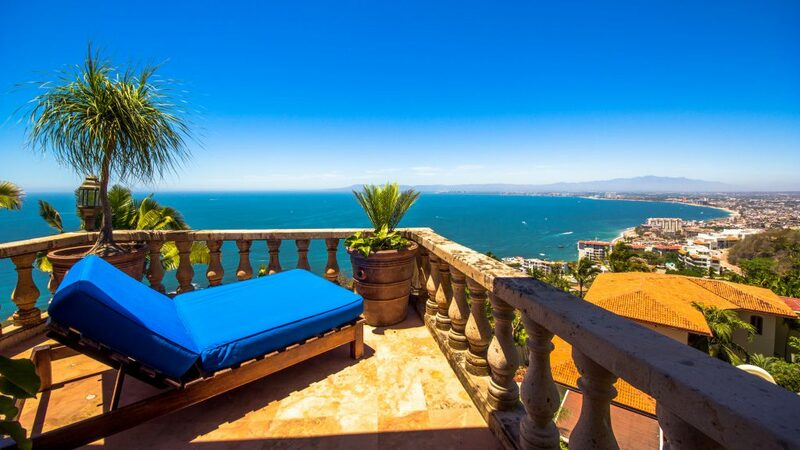 If partying is your thing stay elsewhere, but if relaxing in the privacy of your own home with unforgettable views is what you seek, then Hacienda de los Santos is the villa for you. This home is stunning from head to toe! 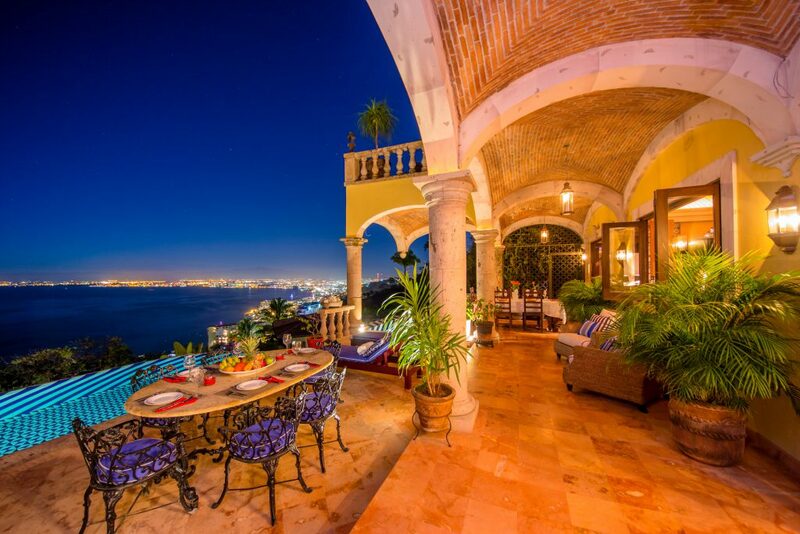 The house is on top of a hill/mountain that overlooks the city and ocean. The taxi ride is beautiful, fast and very affordable. The staff are friendly, helpful and give you movie star treatment. The interior design is impeccable. The beds are soft and oh so comfy. I was sad to leave this dream home. This was one of the best if not the best vacations we have been on mainly due to the superior living quarters and staff. The house and entire grounds were absolutely beautiful. Well maintained, clean and safe at all times. The pictures online did not do this home and view any justice. It was even more breathtaking in person. I just can’t say enough about the house manager, Rigo. Just the friendliest and best service I think I’ve ever had. He was there for anything and everything needed and always with a big smile on his face. Just great and friendly service that we really appreciated. Rigo is definitely a great asset. Miguel the chef went above and beyond our food requests and provided delicious and beautiful food each and every time. Im still thinking about his steak, lobster and shrimp dinner! 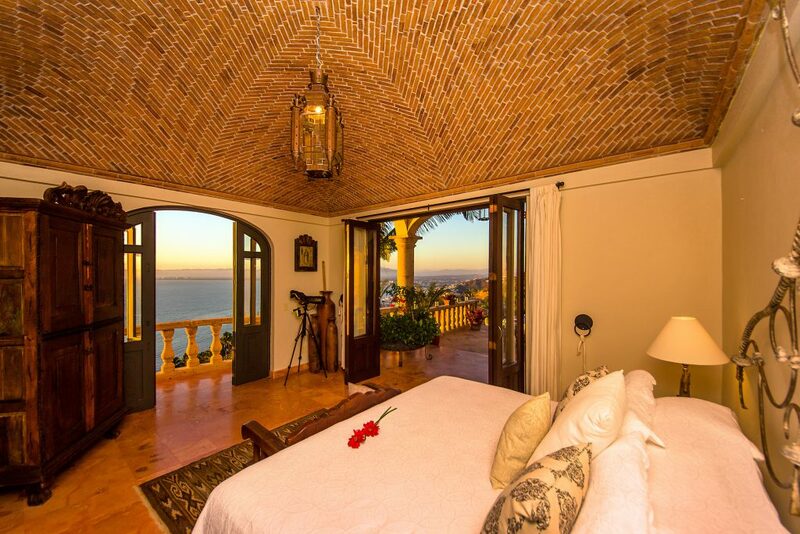 I understand that he is fairly new to the Hacienda de los Santos PV but is definitely a keeper in my opinion. Rosa the housekeeper was also excellent. Room was thoroughly clean and inviting when we arrived and remained that way for our entire stay. She also went above and beyond her duties. The concierge service personnel were also fabulous. They arranged a vow renewal ceremony for us that will be remembered and cherished for a lifetime. I would definitely recommend this property to anyone. It is well worth the money. 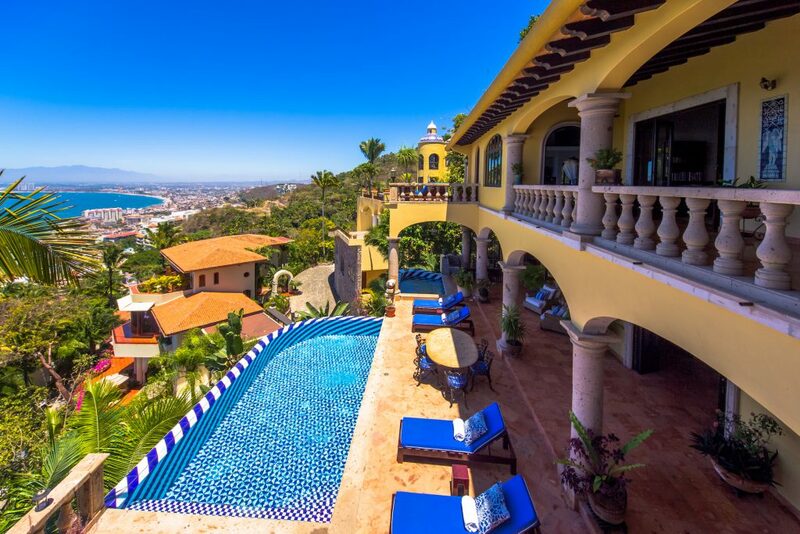 We will be back to the Hacienda de los Santos PV for sure!! Sure Paradise! The property, view, and staff was amazing! 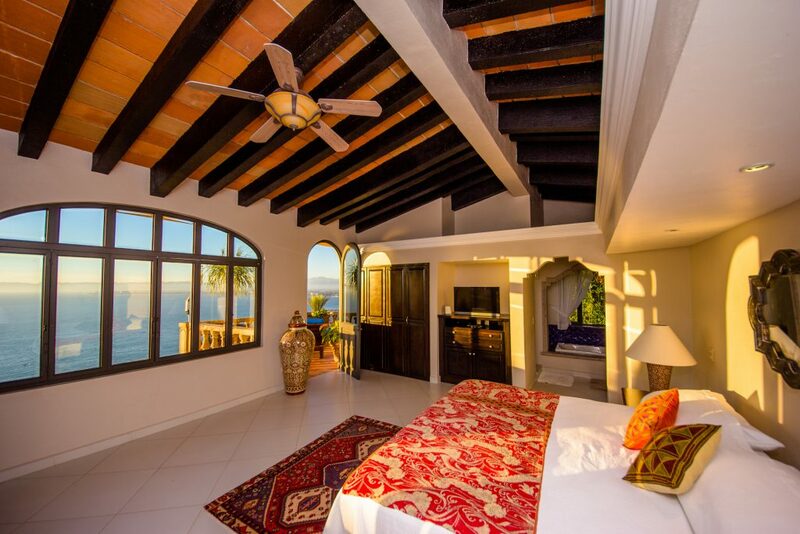 The ambiance of this vacation villa nestled in the mountains of Puerto Vallarta, Jalisco will leave you breathless and speechless. The architect and decor was exquisite, and fresh flowers in every part of the home added that extra touch. Chef Miguel was a master at creating every delightful, and flavorful requested meal. All with the extra added touch of the outstanding food presentation. Rigo the house attendant was amazing and never left a stone unturned. Rigo provided outstanding and exceptional service, by fulfilling every request that we had, hands down the best! Rosa, the house keeper was great! The home was immaculate, and fully stocked with all your personal needs right at your fingertips. All of our requests and needs were met each and every day! There are not enough words that can explain my vacation experience in sure paradise! It definitely has to be experienced. I want to personally thank Rigo, Chef Miguel and beautiful Rosa for making my stay in Puerto Vallarta beyond AMAZING! Soon to be rented as 5 to 7 bedrooms – details coming soon! 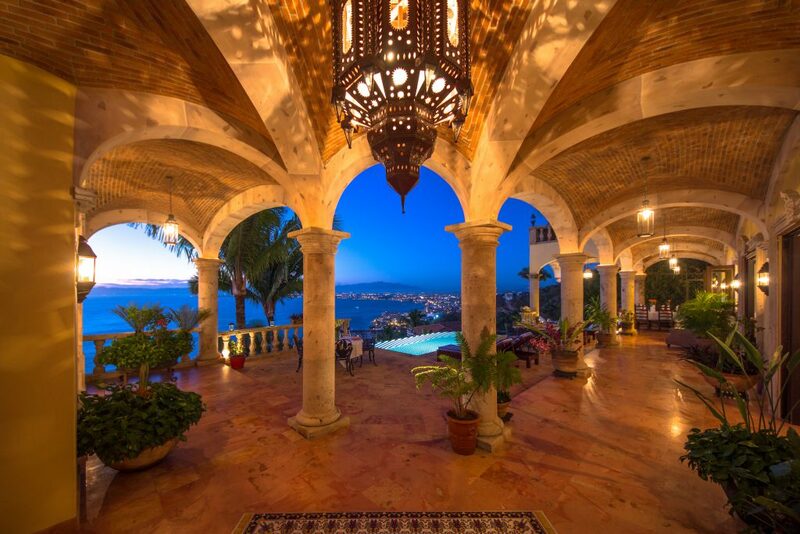 With more than 7800 square feet of living space, Hacienda de los Santos is regarded by many as one of the finest villas in Puerto Vallarta, offering stunning views over the Bay of Banderas (the house is perched high on the hill, with no house above it). 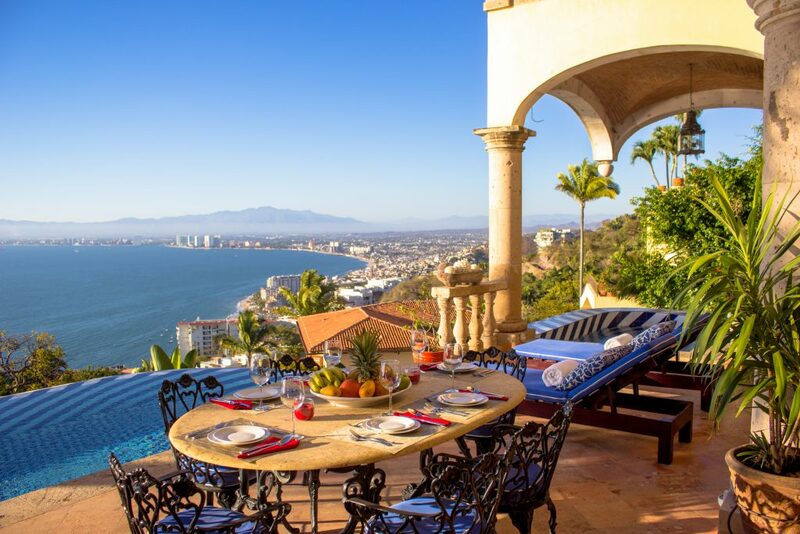 This exceptional villa is built in the traditional Mexican hacienda style (and to California earthquake standards), combining the best of the Old and New Worlds. 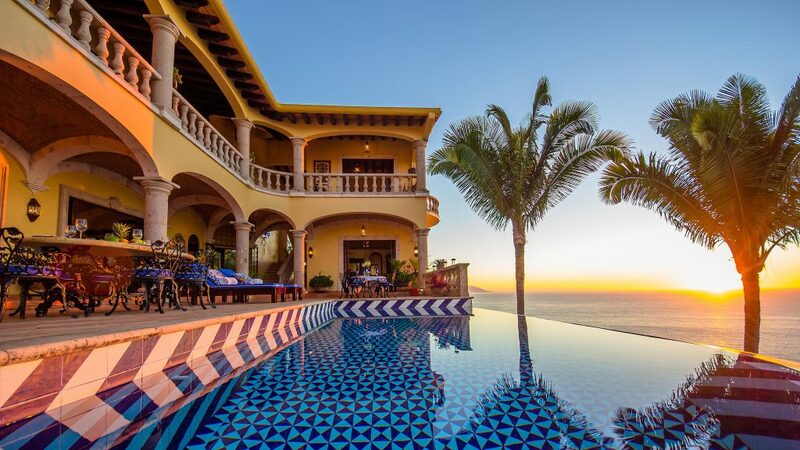 The house has an infinity pool and separate spa / hot tub. 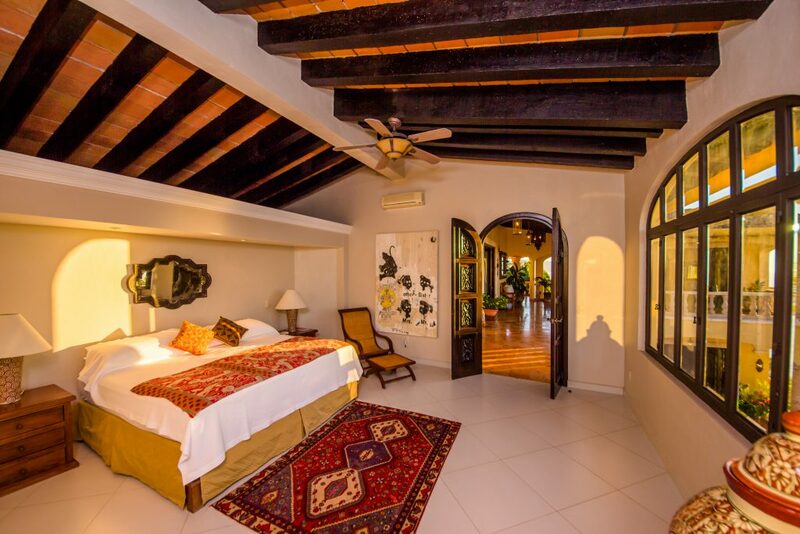 Hacienda de los Santos offers comfortable modern amenities, furnished with beautiful antiques and modern art. 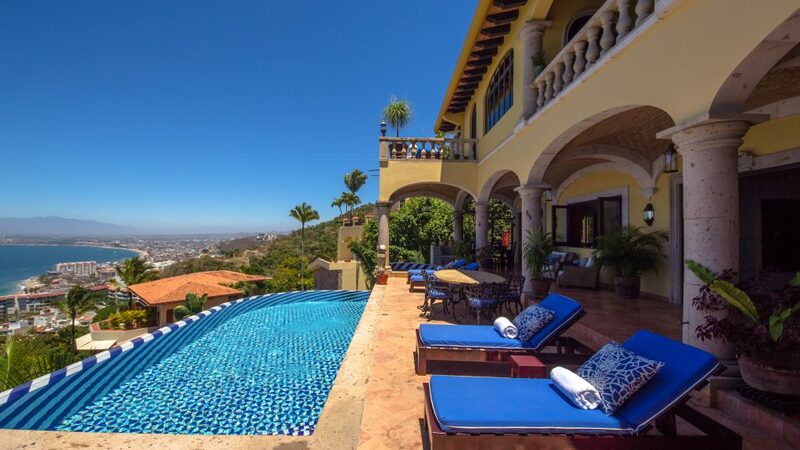 The Hacienda is located on a cliff in the exclusive residential enclave of Real de Conchas Chinas (only 11 homes are set inside this gated and guarded community), adjoining the famed Conchas Chinas neighborhood. 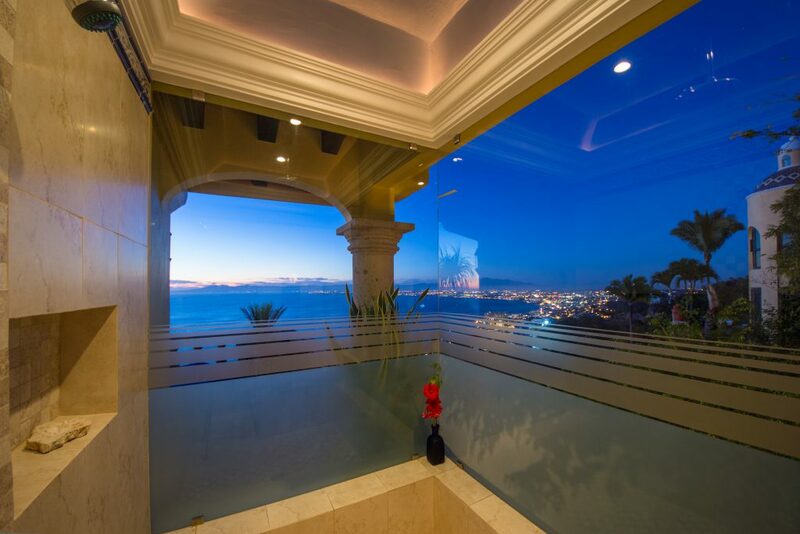 The house’s panoramic ocean, city and mountain views are unrivaled. You will be pampered in this custom-designed and meticulously built home with its carved columns and balustrades, Spanish Alhambra tiles, bold arches, copper and crystal chandeliers, matte tikul flooring, vaulted brick vault ceilings, potted flowers and plants, coupons, and private patios and “Juliet” balconies. 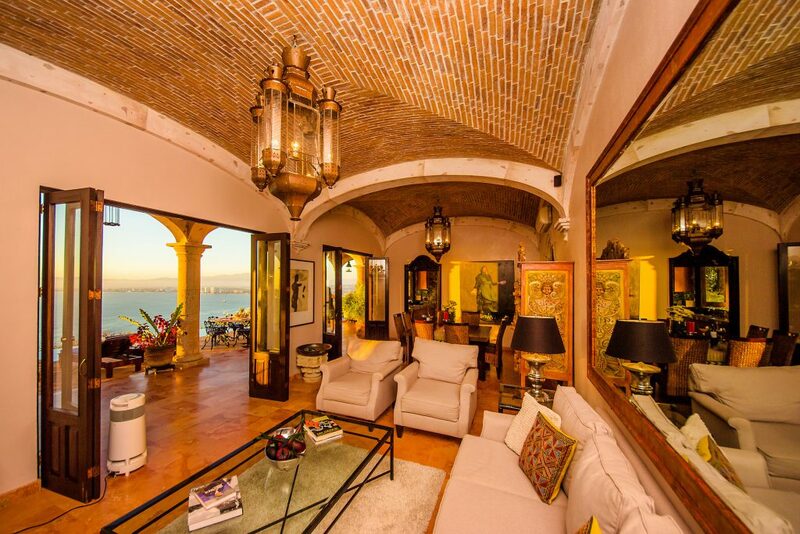 Four bedrooms face inward over an inner courtyard and pool, enjoying sweeping views of the Bay of Flags. 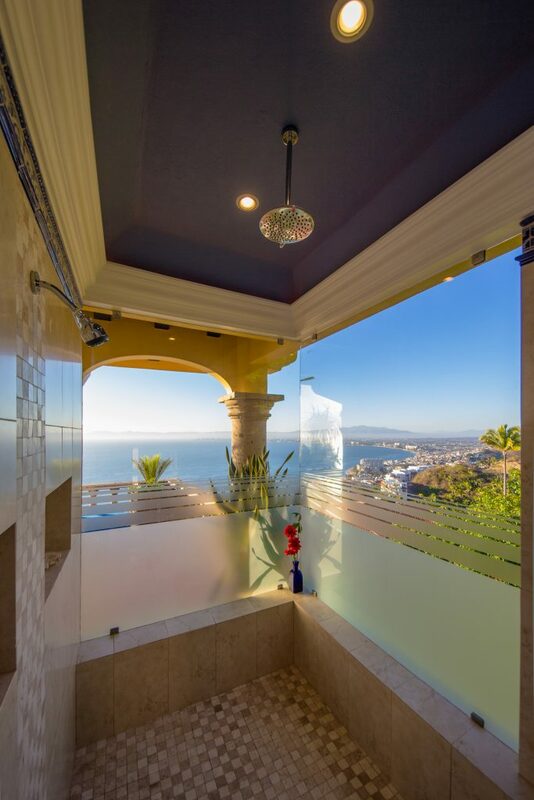 A separate house has its own living room, kitchen, bedroom, bathroom, with views of the mountains, jungle, and south bay, and is a favorite of those wanting a bit more privacy. You’ll start your day with complimentary platters of fresh fruits, fresh-squeezed juices, pastries and coffee. The chef will then offer brunch / lunch at 11:00 AM or 12:00 PM and dinner of your choice, preferably served around 7:00 PM (Food and beverages at guests’ cost, plus small service fee – Other meal time may be requested). 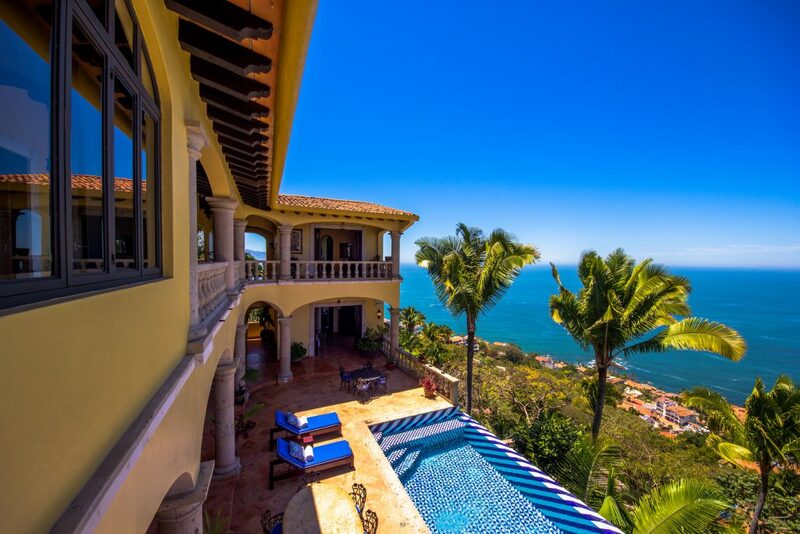 You can swim, enjoy a pool-side nap or the sun, explore Puerto Vallarta (a five-minute taxi ride away), or be entertained by an Apple type TV system with thousands of movies and programs, an audio surround system in the living area, high-end Ipod station and outdoor speakers, a library, and more. There’s even an office for those unfortunates who have to do some work while at the house. Telephone calls (we have two lines) to the US and Canada are free. 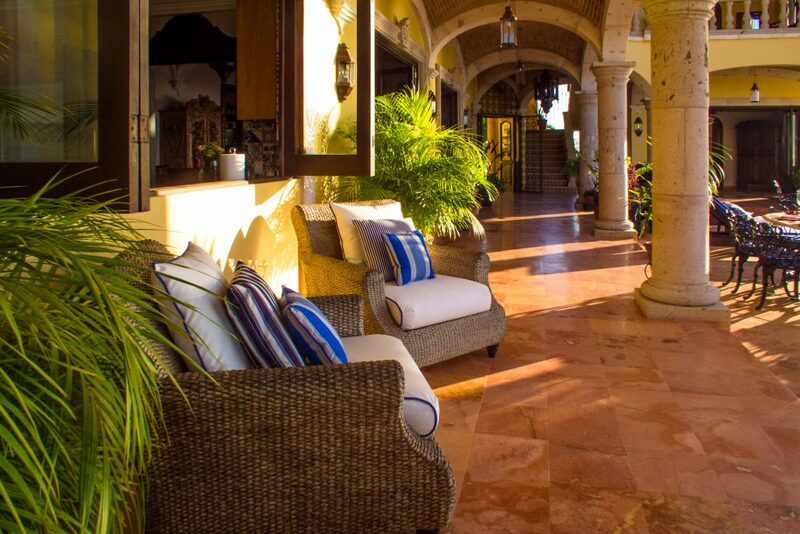 Our guests consistently report that a favorite Hacienda feature is our dedicated staff of four: the houseman, the maid, a professional chef and a gardner, who, in the best Mexican tradition, endeavor to see that your every need is met. The staff works 6 days a week (Sundays and National Holidays are off) but can often be hired to work off-hours and days. For example, if guests arrive on a Sunday, the staff will work and take different days off. Dinner parties are a favorite event for our guests, with seating for up to 28 (fee and / or additional staffing may apply).